Current awareness and scientific intelligence is of paramount importance for life sciences companies. The industry is constantly evolving with new products hitting the market and the ongoing revolutionary changes and new regulations. Combine research journals, industry news, regulatory actions, patents and social media. Filter information by meaningful topics and. Information sources and content is organized and distributed in alignment with business objectives. Let your internal or external scientific research team select and comment what's important and bring perspective to the collected intelligence. 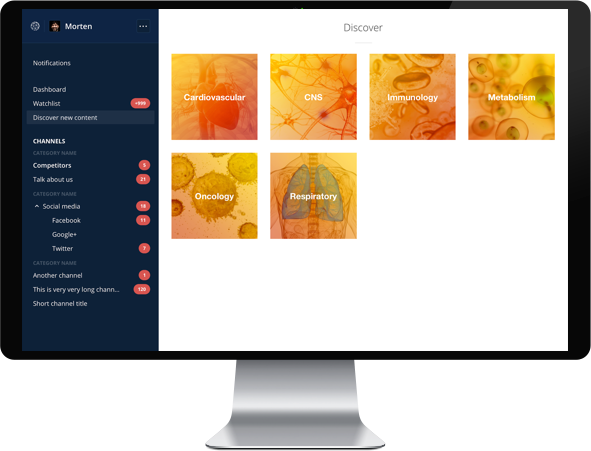 Deliver real-time reports to clinical specialists, management, regulatory teams and sales people and other decision makers. 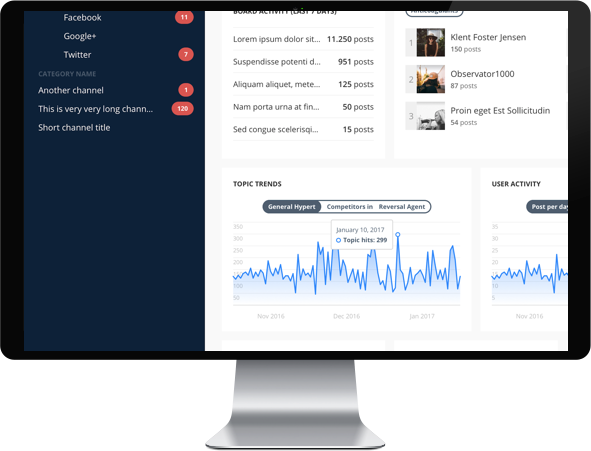 The idea behind our platform, is to unify information streams from media and information sources including business critical content providers into one integrated workflow and personalized user experience – with a minimum of ongoing maintenance and with great usability. Our platform covers science, regulatory information, patents, business news and market research. MarketScape connects people with the critical intelligence and information they need in the context of their projects, roles and responsibilities. The result is significantly faster knowledge distribution and decision making. 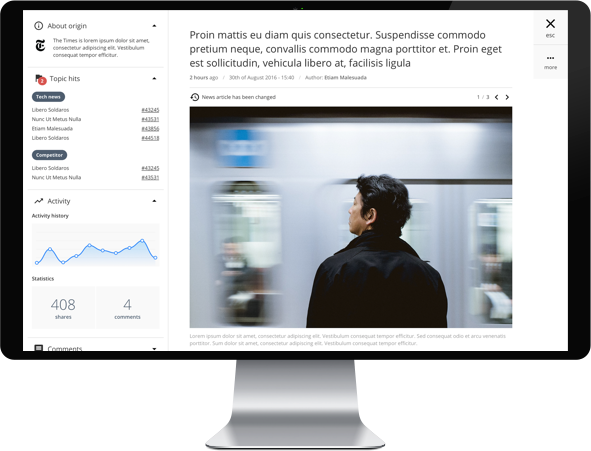 For information managers, MarketScape makes it easy to align information sources and content with business objectives. Thousands of sources are aggregated, normalized and available to manage through MarketScape. Journal abstracts, scientific news, regulatory activity, publisher alerts, patent activity, clinical trials and selected social media in one interface. New users easily access content via single-sign-on (SSO) integration. Subscriptions to 10.000s of users are handled automatically. Organisations gain up to 40% productivity gain by connecting shared knowledge with expertise, and break down information silos. Users are updated automatically enabling agile adjustments to projects based on the latest intelligence. Metrics on information consumption measure the value of subscription content sources so they can be objectively evaluated for ROI. Innovation and knowledge sharing is accelerated through MarketScapes integrated collaboration tools. AI assisted topical intelligence to filter and analyse data automatically. Since MarketScape started developing software 8 years ago, more than 345 clients have chosen to license our software. MarketScape has a worldclass development team, and we invest 60% of our annual revenue into customer driven product development. MarketScapes client satisfaction team in the MENA region and Europe deliver outstanding around the clock customer service. Our mission is and has always been to deliver ACTIONABLE intelligence, that makes a REAL difference to the business of our clients.